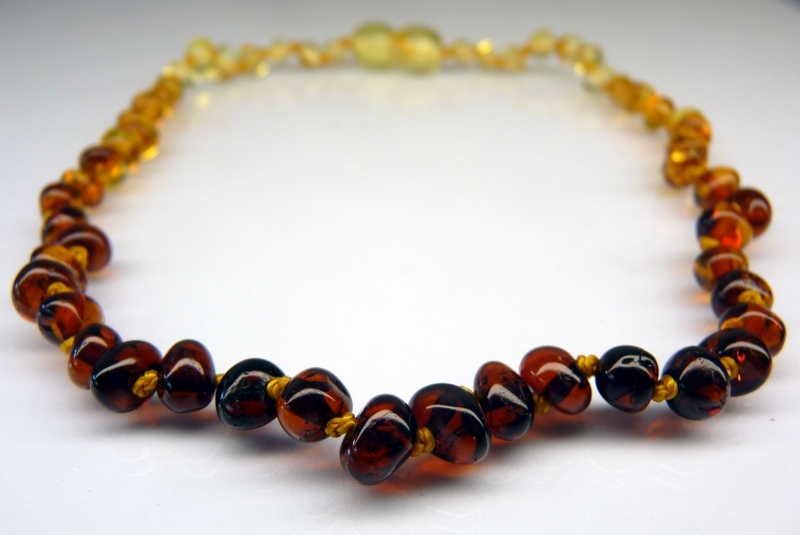 Amber Necklace article. The Telegraph April 21, 2012. Click image to read article. 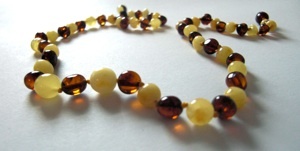 Baltic Amber- NOT just for teething babies!!! 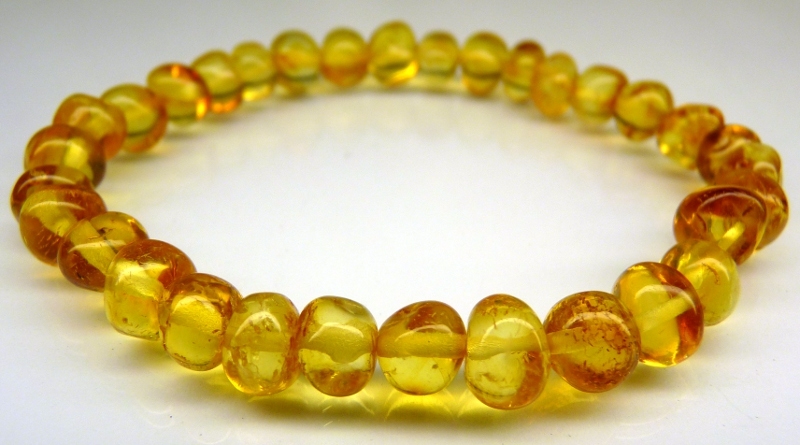 We can guarantee our amber is 100% Authentic. 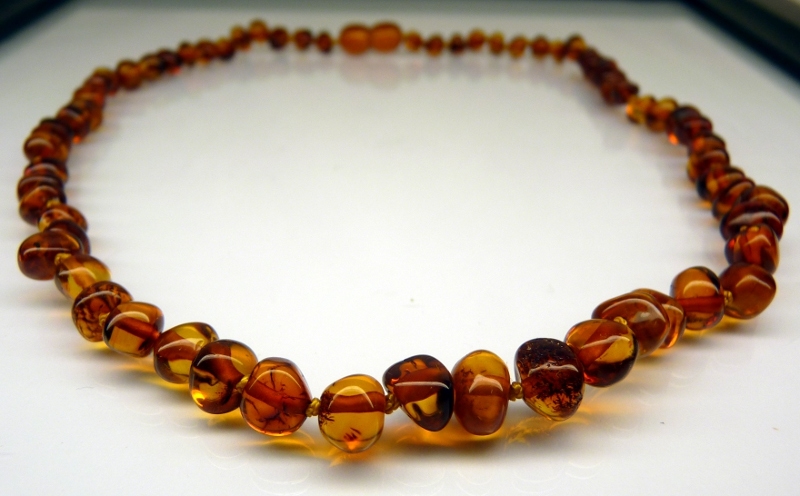 ALL our amber comes with a Certificate of Authenticity along with Ware and Care instructions. 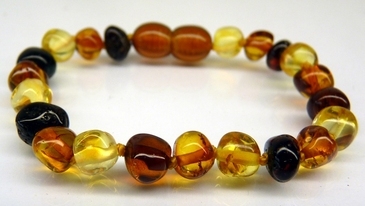 Amber is the fossilised resin from prehistoric trees that grew as much as fifty million years ago, primarily around the Baltic Sea. 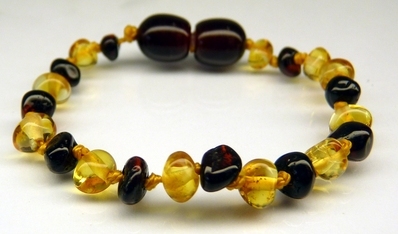 Baltic amber has been worn for centuries as a natural remedy for pain relief and to promote fast healing and boost the immune system. 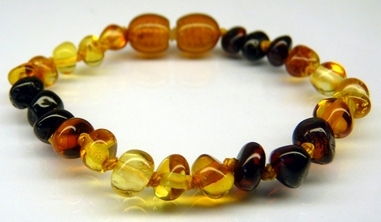 Baltic amber is a natural analgesic and posesses anti-inflamatory properties. It als acts as a natural antibiotic. 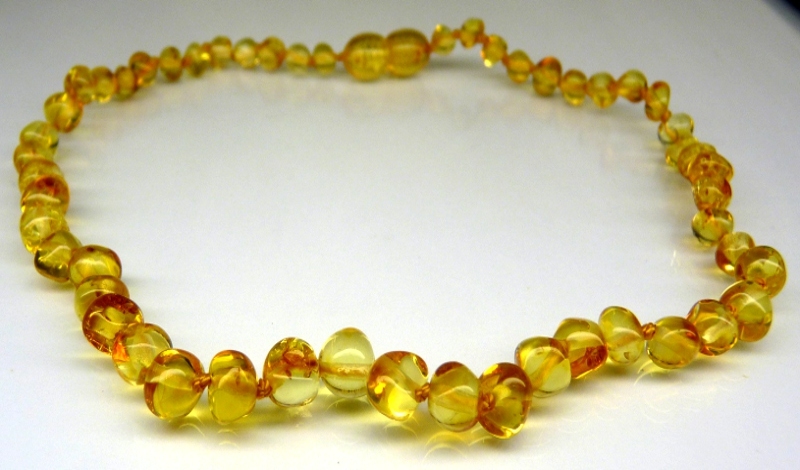 Amber contains succinic acid. 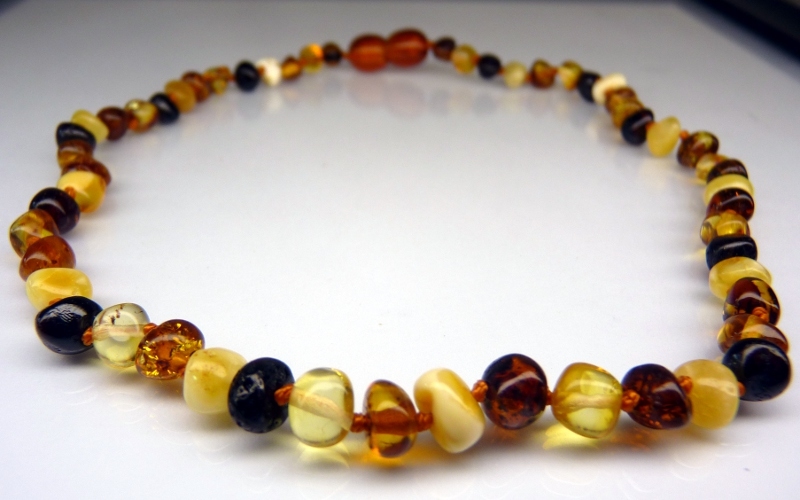 When the amber is worn against the skin, it warms with the body temperature and releases natural oils which are absorbed into the bloodstream. 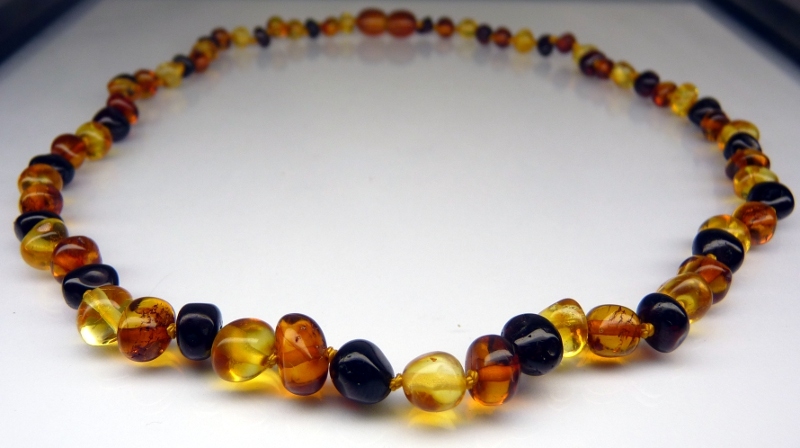 These oils are rich in succinic acid which is the ingredient which gives Baltic Amber it's pain relieving properties. 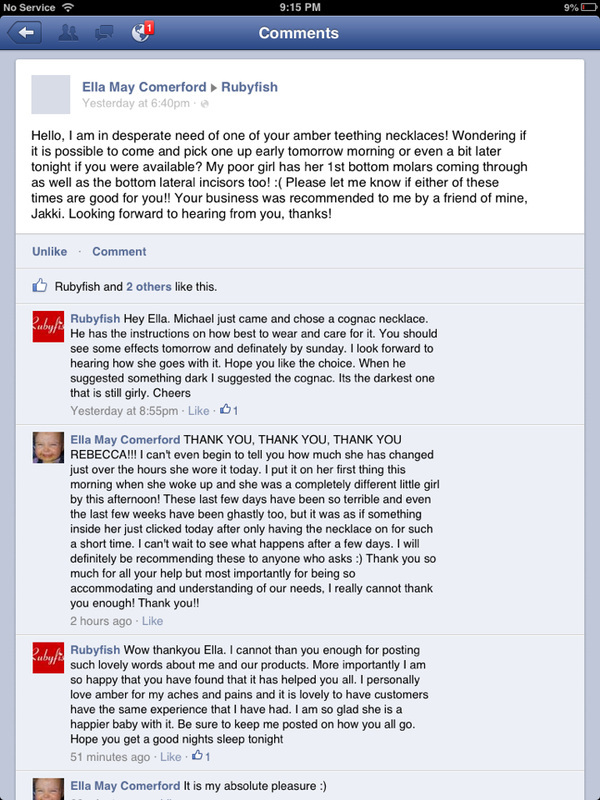 When choosing a product for your child there are a few things to consider. Firstly some would say that different colours have a great effect than others, while there may be tiny variations it really is not worth choosing a piece on this alone. Always choose a piece that you like the look of first as if you dont like the look of it you probably wont put it on your child. 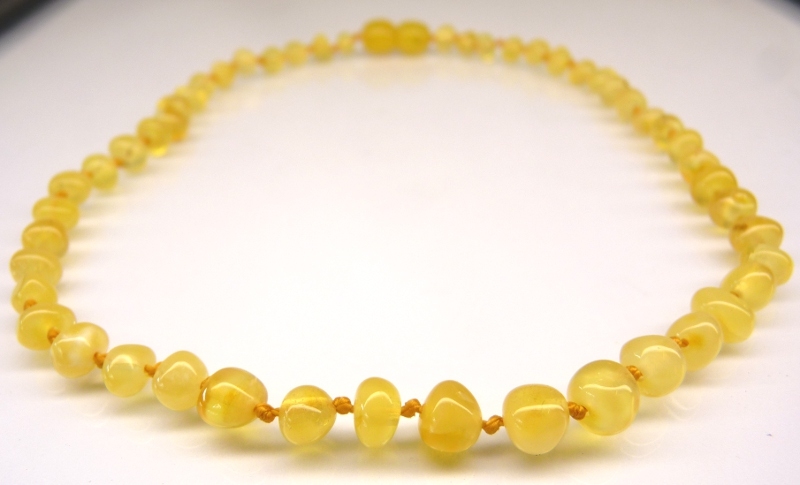 But having said that if you really want to gather the best effect possible some cases show us that light coloured raw necklaces are the most effective. 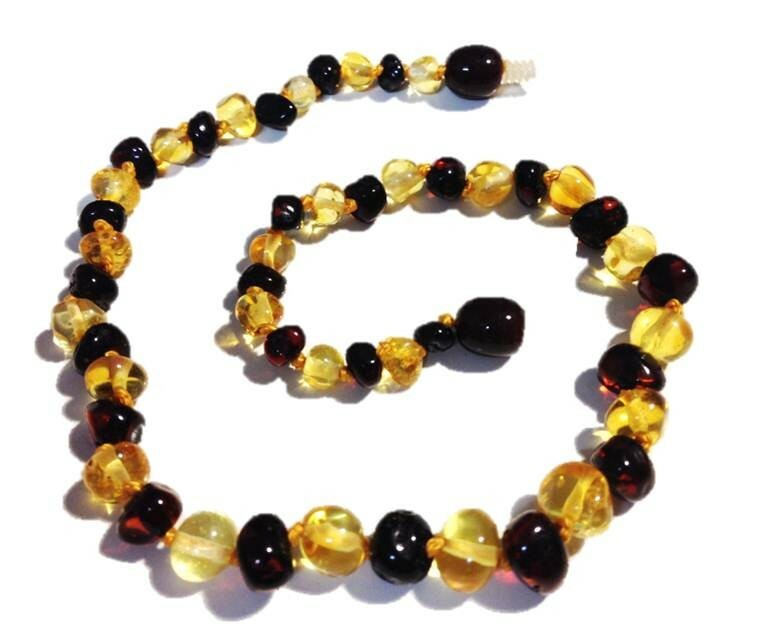 Unfortunately we do not stock these as we have found customers like the look of the polished amber which works just as well. 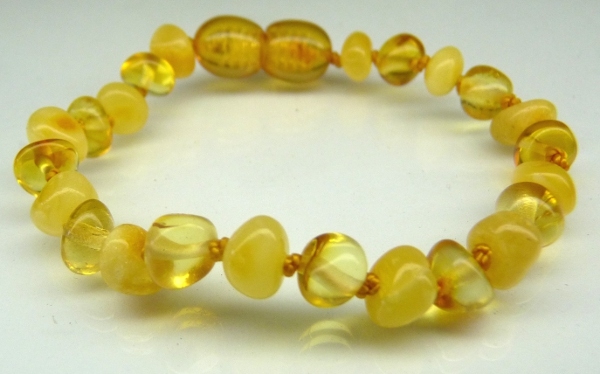 Wear your amber ALL the time! Amber needs to be warm in order to work so the more you ware it the more it will work. Wear it in the shower and pool too! 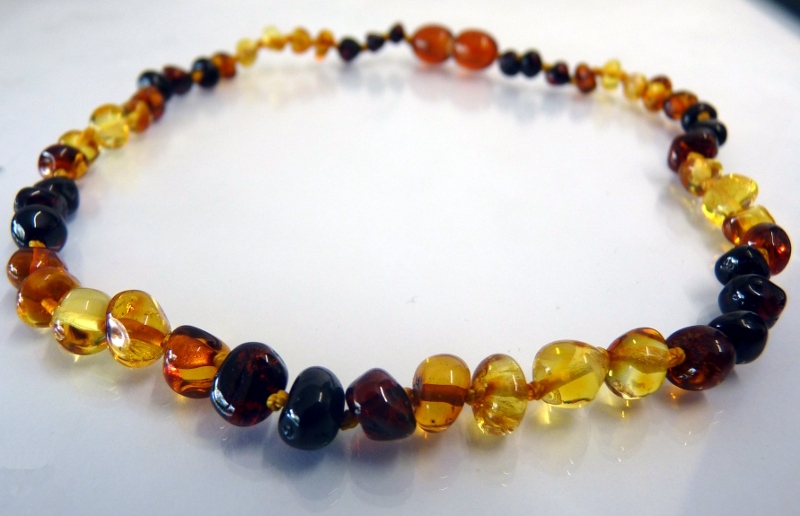 We suggest adults take their amber off every 4-6 weeks to give it a clean and then put it out in the sun for a sunbake boost. For babies/children we suggest doing this every 6-8weeks. Pain associated with Teething, Colic and Refulx. 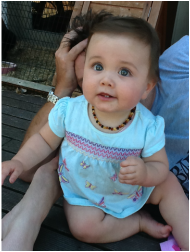 Can help with excessive drooling in babies and inflamation in gums. May help take the agression out of eczema, ease nappy rash. 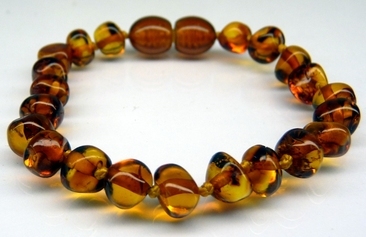 Amber is a fossilized resin, which warms against the skin, releasing it's therapeutic properties. 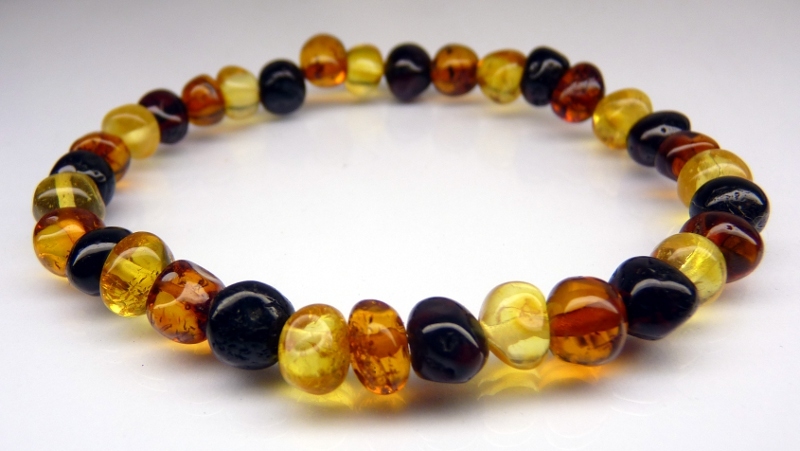 Wearing baltic amber against the skin is a traditional remedy and may help calm a teething baby without resorting to drugs. May aid in pain from Headache, Muscle Pain & Arthritus. 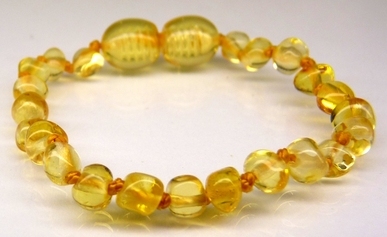 It also has a calming effect on the body and may help to reduce stress and tension. Mayhelp with sleep. 31-33 cmOr 35cm lengths. Sizes can sometimes varey and are an approximate only. 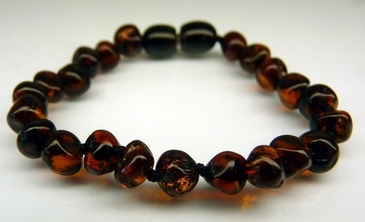 The kids amber below is ONLY available ONLINE. There is no pickup available for these items. They will be shipped to your door direct from our wholesaler. 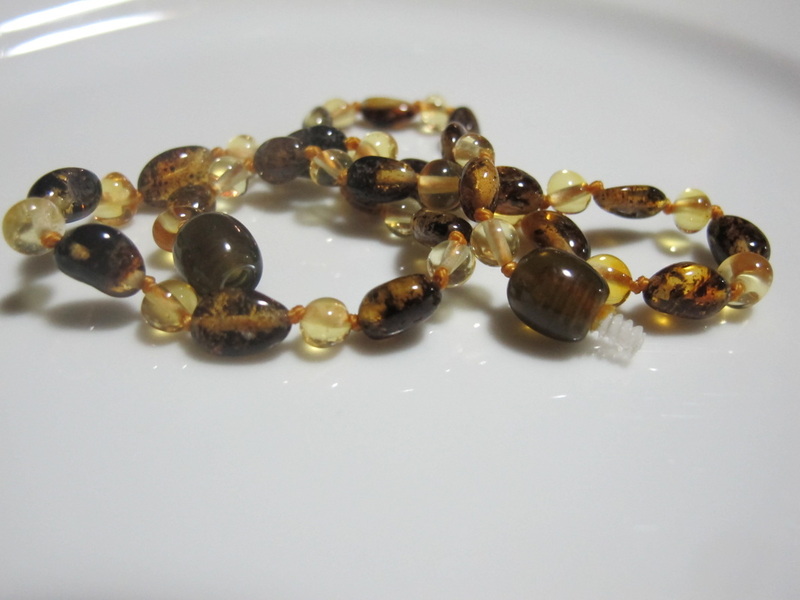 These are individually knotted with a quick release clasp. These can take up to 2 weeks to ship. 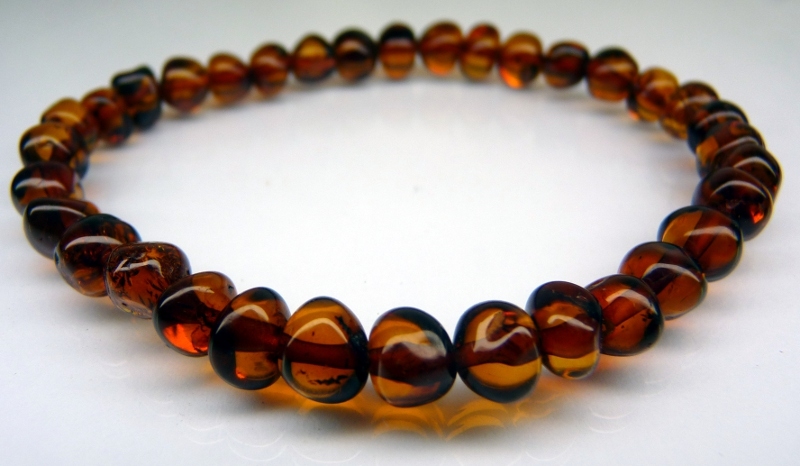 How can amber help adults? 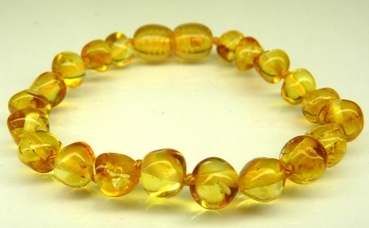 Amber can help with any forms of pain- backache, neckache, migrane, arthritus. Can help with general well being, calming, sleep and blood circulation. 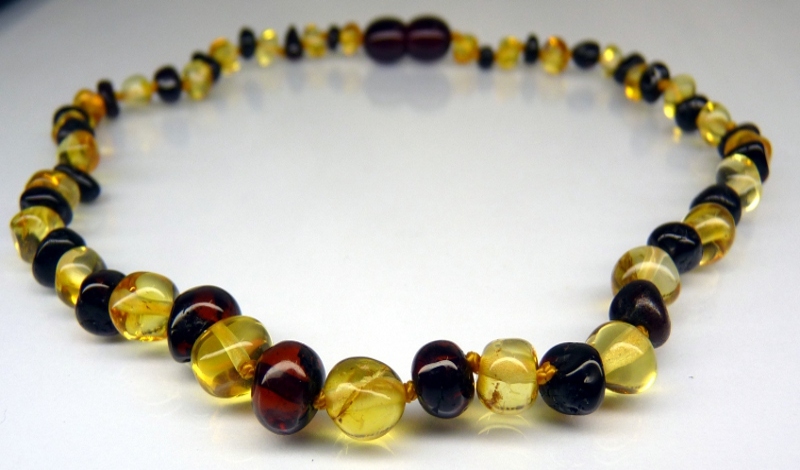 Necklaces are approx 45cm long. 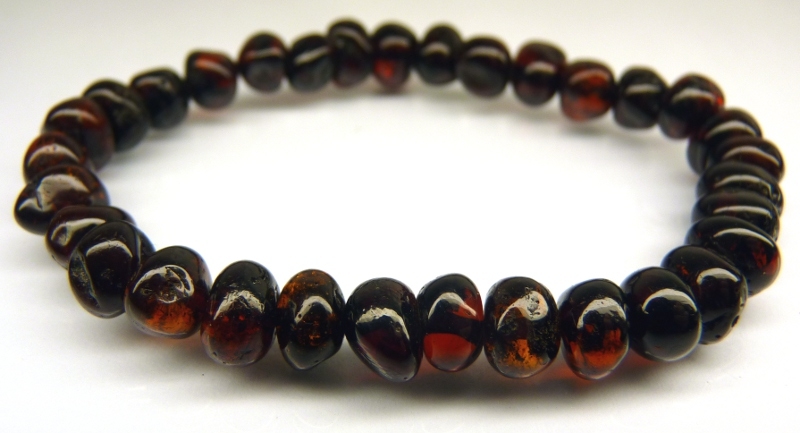 These bracelets are not like any of our other amber. It is on elastic and measures approx 20cm. 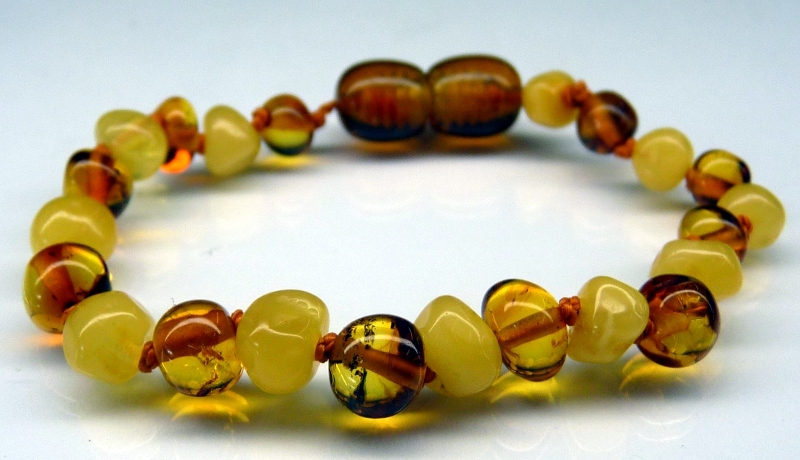 NOTE: these are NOT a screw clasp bracelet as seen in the images. 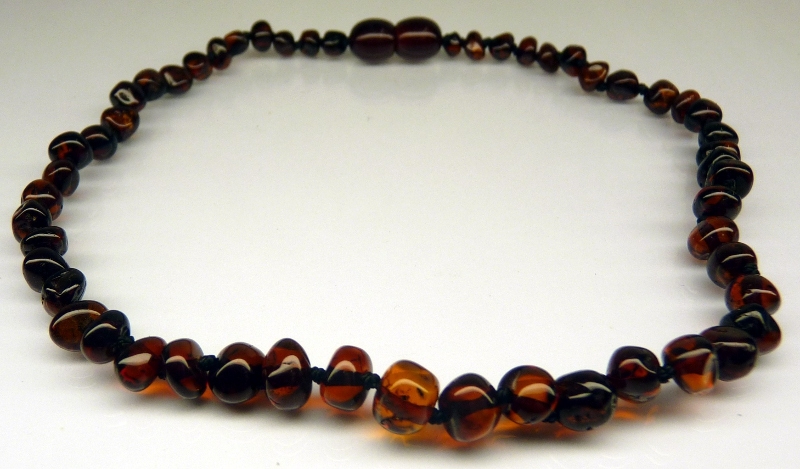 Images are of necklaces.